After deciding that the college route is for you, the next step is choosing which college or university will best meet your needs. North Carolina has 119 two- and four-year schools, a number that can seem daunting, but one that is easily lowered once you determine the type of school you want. Fortunately, we have applied our rigorous methodology to the latest education data to rank the best colleges in North Carolina, including the top four-year and two-year schools. Higher education in North Carolina, according to a recent study, has a $63.5 billion impact on the state's economy, the monetary equivalent of creating just over one million jobs. While higher education cost taxpayers an estimated $4.3 billion in 2012-13, the return to the economy was a whopping $17 billion. Given this return, it's unsurprising North Carolina has shown such strong support for its public universities. The state's four-year schools have especially distinguished themselves, with institutions in the North Carolina Higher Education (NCHE) system responsible for $1.5 billion in added state income via start-ups begun by NCHE students and alumni. North Carolina's breakout success with its 4-year universities is a sure sign of good things to come. Since it was chartered in 1789, UNC at Chapel Hill has striven for excellence in academic programming, as a research center, and in student outcomes. The nation’s first public university, UNC Chapel Hill offers undergraduate and graduate programs through 14 schools and the College of Arts and Sciences. Among its alumni are two Nobel laureates, 49 Rhodes Scholars, and more than 250 Fulbright students. The school’s 18,000+ students can choose from 77 bachelor’s degree programs in a range of disciplines, including the arts, biological and health sciences, business, and education. Notable degree programs include the Asian studies bachelor of arts (BA) with several concentrations; and the bachelor of science (BS) in biomedical and health sciences engineering. The BA in peace, war, and defense is another unique multidisciplinary program among North Carolina colleges. More than 300 study abroad programs are offered in 70 countries. A prestigious research university located on nearly 9,000 acres in Durham, Duke is home to about 15,000 undergraduate and graduate students. Duke is known for its selectivity in admission and academic programming that is rigorous. Duke’s graduate and professional schools in business, engineering, law, and medicine are leaders in their fields. One of the best colleges in North Carolina, the institution has two academic paths for undergraduate students: liberal arts and engineering. Freshmen in the engineering track can earn bachelor’s degrees in either the biomedical, civil/environmental, mechanical/materials, or computer/electrical fields. Students pursuing the liberal arts path can earn a BA or BS degree in nearly 100 different academic programs as diverse as art history and global cultural studies to mathematics and computer science. Duke’s other attractions include global learning opportunities and the Blue Devils’ athletic prowess. A preeminent research institution, NC State at Raleigh is recognized for its excellence in areas such as science, engineering, math, the humanities and social sciences, and veterinary medicine. The school’s approximately 34,000 students engage in experiential learning through research, co-ops, and internships that ready them for the workforce. NC State, one of the best colleges in North Carolina, has led the way in reducing nuclear proliferation, helping farmers deal with climate change, and reinvigorating the manufacturing sector. Undergraduate students can earn a bachelor’s degree in one of 100 majors. Bachelor’s degree programs of note include nuclear engineering, environmental technology & management, and interdisciplinary studies with three concentration areas -- Africana studies, self-design, and women and gender studies. Students interested in studying abroad have a choice of more than 400 programs in 60+ countries. Transfer students make up more than 25% of NC State’s student body. One of the strongest liberal arts colleges in North Carolina, Davidson College provides its approximately 2,000 undergraduate students with 26 majors, 17 minors, and an interdisciplinary studies program. The school touts small classes, in which renowned faculty work with students on research across several disciplines, including the arts, sciences, and humanities. Davidson College is the alma mater of 23 Rhodes scholars. In addition to the 26 bachelor’s majors, the school offers interdisciplinary minors in areas such as genomics, health and human services, global literary theory, and human and health values. The baccalaureate interdisciplinary studies major allows students to complete a major not regularly offered by an academic department. The school offers dual degree engineering baccalaureate programs in partnership with Columbia University and Washington University in St. Louis. Almost 80% of Davidson students study abroad and have more than 150 programs from which to choose. The nation’s first arts conservatory, UNCSA has had 50 years of success developing a cadre of gifted artists in the performing and visual arts. This specialization makes UNCSA a unique institution among colleges in North Carolina. The Winston-Salem-based institution has five professional-caliber conservatories: the Schools of Dance; Design and Production; Drama; Filmmaking; and Music. UNCSA awards two bachelor’s degrees: the bachelor of fine arts (BFA) and the bachelor of music. The institution’s curriculum gives students a well-rounded liberal arts education in addition to concentration in the arts. Learning is experienced on a small campus with studio sizes that facilitate close relationships between students and faculty. Of note is the university’s film school, in which students have seven areas of specialization, including animation, cinematography, and directing. Musicians at UNCSA have 10 areas of specialization, such as brass, composition, piano, and strings. WFU is highly ranked among the nation’s universities and among colleges in North Carolina. Approximately 8,000 students can immerse themselves in study at a rigorous research institution with small-college intimacy. Among notables are 15 Rhodes scholars and 62 Fulbright scholars, dozens of successful alumni in fields such as politics, law, and science, and a 10:1 student-to-faculty ratio. Undergraduate students are awarded BA and BS degrees in more than 35 majors covering a range of disciplines. WFU highlights students’ outcomes: 98% of the Class of 2015 are employed or in grad school. WFU offers hundreds of study abroad opportunities. Its signature Wake Alternative Break is a weeklong time during which undergraduate students work to advance the school’s motto of Pro Humanitate (For Humanity), using their knowledge and skills for the betterment of others in cities across the U.S.
App State, located in Boone, began as a teacher’s college and is now home to 18,000 students, most of whom are undergraduates. The school has six undergraduate colleges administering a comprehensive catalog of bachelor’s degrees in various disciplines. The school has a 16:1 student-to-faculty ratio in which mentorship between students and faculty is facilitated and critical inquiry embraced. App’s location in the Blue Ridge Mountains provides students, including undergraduates, with unique research opportunities. App is notable among colleges in North Carolina for its signature "4+1" accelerated admissions program, in which undergraduate students save on tuition dollars by earning graduate credits while in their senior year; they can graduate from App with a bachelor’s and master’s in about five years. Among the school’s other notables are affordable tuition rates and a textbook rental program to save students money. GCD is a private Christian college that offers a variety of programs designed specifically for adult learners. The school is located on the main campus of Manna Church, one of the top 100 fastest growing churches in the country. The school offers both Associate of Divinity and Bachelor of Divinity programs. Students can also earn an associate of Christian leadership, bachelor's in christian leadership, master's in christian leadership, or one of several certificate options. GDC students can participate in The Theological Journal, the school’s online publication that accepts submissions on topics like practical theology to historical, biblical, or exegetical theology. Applicants must provide high school transcripts or a GED, a pastoral reference letter on official letterhead from the pastor of the church they attend, a personal reference, and an their conversion experience to be considered. GCD is recognized by the Association of Christian Schools International. WCU is home to 10,800 students on a 600-acre campus located in the rural mountains of Cullowhee. WCU’s catalog of 115 undergraduate majors and concentrations is offered to about 9,000 undergraduates pursuing degrees in high-demand areas such as engineering, healthcare, education, the arts, humanities, and business. Notable bachelor’s degree programs include the Chemistry Four + One Program, in which students earn a BS in chemistry and an MS in chemistry in five years. The BSBA in business administration and law is a unique program not offered at other North Carolina colleges. Campus life includes more than 170 student organizations, numerous arts performances, and the campus’s mountain location is a boon for outdoorsy students. WCU is designated as a Military Friendly School and offers several resources to veterans, such as financial aid counselling and peer support. ECU has a catalog of offerings that includes 88 bachelor’s degree programs administered through 12 colleges and schools. An 18:1 student-to-faculty ratio helps facilitate learning centered on scholarship, leadership, service, and discovery. One of the best colleges in North Carolina, ECU’s traditional and interdisciplinary baccalaureate majors range from art, education, and communication to computer science, economics, and geographic information sciences and technology. Notably, in fall 2016, 46% of degree-seeking students were enrolled in a STEM or healthcare program. In the BA or BS in multidisciplinary studies programs, students study specialized or new fields while pursuing research interests. A unique college path can also be pursued via the BS in university studies, in which students work with advisors to design an individualized course of study. Situated in a major metropolitan area, UNC at Charlotte is a large public institution with a student body of approximately 28,000 students. Among North Carolina colleges, UNC Charlotte is the state’s urban research institute. Among its three campuses is the Charlotte Research Institute -- which focuses on research areas such as advanced manufacturing, information technology, and opto-electronics. The school offers 90 bachelor’s degree programs in a comprehensive range of fields, including engineering, psychology, art, education, communication, and child and family development. Unique bachelor’s degree programs include meteorology, fire safety engineering technology (with concentrations in fire safety and fire protection), neurodiagnostics and sleep science, and systems engineering. Known simply as Charlotte, the popular men and women’s basketball teams compete in the NCAA's Division I sports. Community engagement is an important part of life at the school, and includes volunteerism, internships, and service learning. Students at NC A&T, known as Aggies, are part of an institution known for graduating more African-American engineers and accountants than any similar institution in the nation. Among the colleges in North Carolina designated an historically black institution, this one has a traditional focus on engineering and agriculture. However, it has expanded to areas such as biomedical research and the social and behavioral sciences. The new Joint School of Nanoscience and Nanoengineering includes research in nanobiology, nanomaterials, and computational nanotechnology. Bachelor’s degrees can be earned in non-engineering areas such as English, liberal arts, music, political science, business, and accounting. BS degree offerings include specializations in civil, computer, and electrical engineering. BS degrees in agriculture cover areas such as agribusiness, environmental studies, and animal science. Each year large accounting firms and Fortune 500 service and industrial firms recruit Aggies with degrees in accounting. Piedmont is a private Christian university that was founded in 1945 in Winston-Salem. Today, the school offers a wide variety of academic programs, including associate, bachelor’s, master’s, and doctorate degrees, as well as a one-year biblical studies certificate. These programs cover many disciplines, though most cover Bible studies, ministry, or education. Students can also choose minors in a subject like American Sign Language, pastoral studies, counseling, worship leadership and more. Piedmont also offers an e4-12 program, an innovative way for students to earn an accredited master of arts in ministry degree in just 30 hours for $99 per credit. The school boasts small class sizes, with a student-to-teacher ratio of 9-to-1. These small class sizes allow faculty to provide each student with one-on-one instruction. Students have access to a wide variety of support services, including an academic success center, library, and online bookstore. Piedmont is accredited by the Accrediting Association of Bible Colleges. Salem College is unique among colleges in North Carolina and the nation because it is the oldest educational institution for women that has remained a women’s college since its opening in 1772. A distinguished private liberal arts college, the school accommodates about 1,000 women from around the globe who engage in undergraduate and graduate learning in state-of-the-art facilities. Bachelor’s degrees are offered in areas such as accounting, economics, biochemistry, business administration, and criminal studies. Unique programs include the BA in studio art with concentrations in painting, printmaking, or teaching licensure (grades K-12). Students interested in earning a teaching license can simultaneously take any major and coursework for elementary, middle, and secondary grades licensure. Bachelor’s degree concentrations are offered in fields such as international trade, international relations, finance, and computer science. Student activities include programs, clubs, organizations, poetry readings, movie nights, and battle of the bands. Elon is a selective private institution renowned for its curriculum fostering engaged and experiential learning. At Elon, students are immersed in an academic experience rooted in the liberal arts and sciences. The school’s excellence is based on its five key tenets: student-centeredness, global engagement, experiential learning, an environment that promotes learning, and ambition. The school has about 6,000 undergraduates and 60 undergraduate majors from which to choose. The most popular disciplines for freshmen are arts and sciences, business, communications, and education. Elon is notable among colleges in North Carolina for its engineering dual degree program, in which students earn a bachelor’s degree in engineering from a partnering engineering school, such as Penn State, Columbia, or Virginia Tech, and a bachelor’s degree from Elon in one of its supportive liberal arts concentrations. Elon’s undergraduate experience includes volunteer service, internships, and study abroad. The school has 17 intercollegiate sports teams in NCAA Division I. The only school in the UNC system dedicated to the liberal arts, UNC Asheville’s curriculum promotes academic rigor, critical thinking, and workforce preparation. For its 3,900 undergraduate students, learning happens inside and outside the classroom via faculty-mentored research projects, internships, study abroad, and service-learning projects. UNC Asheville’s notables include small class size and an undergraduate research program that is nationally acclaimed for its innovation. Bachelor’s degree are offered in fields as diverse as economics, environmental studies, and philosophy to English, new media, and sociology. This North Carolina college’s Department of Education offers students the opportunity to earn a bachelor’s degree in addition to teaching licensure, with concentrations such as elementary education, mathematics, science, social studies, and art. Life on campus includes concerts, art exhibitions, career workshops, and outdoor trips, such as caving and kayaking. Established as a women’s college more than 100 years ago, Meredith College is now a coeducational institution offering its approximately 2,000 students a rigorous liberal arts education. Among the school’s notables is its women and gender research in areas such as earnings, education, and leadership development. Students seeking a bachelor’s degree program can choose from 80 majors, minors, and academic programs. The school’s engineering dual degree is a five-year program in which students graduate with a BA in chemistry or a BA in mathematics as well as an engineering degree from NC State University. One of the best colleges in North Carolina, Meredith’s StrongPoints is a unique advising and personal coaching program designed to help students in the areas of academics, experiential learning, financial literacy, and career planning. Meredith’s lecture series includes esteemed speakers such as former leaders of the United States and Great Britain, U.S. Senators, and Pulitzer Prize-winning journalists. Based in Concord, Cabarrus College of Health Sciences stands apart from other schools in North Carolina as an institution of higher education and career training dedicated to health education and related fields. Cabarrus offers a full range of certificate, diploma, and degree programs, including two bachelor’s degrees in medical imaging and interdisciplinary health studies and a master’s degree in occupational therapy. Cabarrus also provides nursing degrees at the associate and baccalaureate levels, as well as a clinical research certificate. The school offers most programs through online asynchronous coursework with on-campus labs and practicums, allowing working professionals to advance their careers without giving up their jobs or compromising their family life. Application materials include SAT/ACT scores and recommendation letters. Candidates must also fulfill additional requirements specific to their field of interest. Located in Wilmington, UNCW offers its approximately 15,000 students a curriculum that integrates teaching and mentoring with research and service. UNCW provides its undergraduate students with a catalog of 54 majors leading to bachelor’s degrees in disciplines as diverse as arts and sciences, and business and health and human services. UNCW is one of the coastal North Carolina colleges offering baccalaureate degrees in coastal and marine sciences, such as the BS in oceanography. In the Three Plus Two Program, students can earn a BS in environmental science and a BS in environmental engineering in conjunction with North Carolina State University. UNCW has a strong emphasis in research and offers undergraduates numerous opportunities through the Center for Support of Undergraduate Research and Fellowships. UNCW’s campus promotes the arts, with performances, artists in residence, workshops and master classes. UNCW’s Seahawks are NCAA's Division I members. A small liberal arts college located in Salisbury, Catawba College enrolls approximately 1,300 students from 35 states and 21 countries. The school offers more than 70 academic programs of study in traditional fields such as biology, history, nursing, politics, business, and teacher education. Bachelor’s programs lead to BA, BS, and BFA degrees; undergraduates also have the choice to create their own individualized plan of study. Catawba, one of the best colleges in North Carolina, has strong science programming, such as the BS in environment & sustainability with four areas of concentration and the BA & BS in chemistry. Pre-medicine & related health professions include programs in dentistry, optometry, and veterinary medicine. Special programs for undergrads include the First-Year Experience, a set of programs designed to integrate students into campus life; the Alpha Club, in which students help freshmen during their first week on the campus; academic support; and various social organizations. Wingate University was founded in 1896 as a literacy center for underserved children. Today, the school provides accessible education through 35 undergraduate majors and nine graduate programs. Students choose from bachelor’s degree offerings like criminal justice, English, sports management, and environmental biology. Graduate programs include physical therapy, business administration, and options for education professionals in areas such as elementary education, school superintendency, and educational leadership. Students complete some of Wingate’s programs entirely online or through a hybrid delivery method that combines asynchronous remote coursework with campus attendance. Over 95% of graduates pursue additional schooling or obtain jobs within six months of receiving their degrees. Wingate disregards residency status when factoring tuition rates and learners enjoy an affordable per-credit price. Among the leading private Christian colleges in North Carolina, the University of Mount Olive offers its students a transformational education that cultivates students with a strong liberal arts background. Students learn in an environment shaped by Christian ideals in small classes at affordable tuition. Bachelor’s degrees can be earned in areas such as agricultural production, chemistry, mathematics, and graphic design. The school has a strong business administration curriculum with several areas of emphasis, including agribusiness, business analytics, and business management. The school’s teacher education program provides a comprehensive catalog of offerings, including BS licensure and non-licensure degrees in elementary education, social studies, math, and agricultural education. Adult evening programs are offered for busy professionals in fields such as business administration (several concentrations), criminal justice, and general studies. The Campus Activities Board plans social events, including musician, poet, and campus nights. Located in Wilson, Barton College enrolls over 1,050 students in 40 programs and majors that emphasize rigorous academics and professional and leadership development opportunities. Students choose from undergraduate degrees in fields like special education, visual communications, and biology. Here, they can specialize in pre-health tracks such as dentistry and veterinary medicine. Barton also offers five graduate programs, including a master of business administration and a master of science in nursing. Distance learners can take classwork delivered asynchronously, and they can complete an RN-to-BSN program 100% online. Additionally, students can graduate faster by taking four- or eight-week classes during the summer session. The university offers a generous transfer policy that allows students to transfer up to 64 credits from another accredited institution. Based in High Point, John Wesley University was established in 1903 as a professional training school, but now stands as a fully accredited institution of higher education that offers academic programs in nursing, business, and Christian ministry. Undergraduate programs include management and business ethics, nursing partnership, and six specializations for ministry students in areas such as counseling, intercultural studies, and worship arts. Post-baccalaureate options include two master’s degrees and a doctorate program. Students complete most of JWU’s academic offerings entirely online. Exceptions include nursing (which requires lab work) and the doctor of ministry in Christian leadership (which follows a cohort model). Application materials include standardized test scores and either a minimum 2.0 GPA for undergraduate candidates or a minimum 3.0 for graduate candidates. All students enjoy affordable tuition, and the school makes financial aid available to student leaders, musicians, and homeschoolers. UNCG derives its success not just by the high-caliber students it attracts, but by their contributions. The school, with more than 19,000 students, offers a collegiate learning environment that is challenging and supportive on a campus that is picturesque. UNCG’s undergraduate students have more than 100 areas of study from which to choose, and the school boasts a student-to-faculty ratio of 18:1. One of the best colleges in North Carolina, the institution offers the UNCG in 3 program, in which ambitious undergraduates can earn a bachelor’s degree in three years instead of four. Participating majors range from accounting to entrepreneurship and information systems to social work. Campus life is diverse and engaging, ranging from 17 intercollegiate athletic teams, drama, and dance performance groups to concert and lecture series. Prospective transfer students must have a minimum of 24 semester hours from a regionally accredited institution. Two-year colleges in North Carolina offer flexible learning opportunities, reasonable class sizes and a track record of either advancing students on to their bachelor's or to stable careers. North Carolina is a great place to start your higher learning journey; the state's major metropolitan areas are among the fastest growing in the country. A recent report on how North Carolina's education system has helped its economy points out that 40% of NC wage earners "received education or training at a North Carolina community college during the last 10 years." This 40% is responsible for a $19.6 billion boost to state income, or, as the report states, an amount equal to 322,000 new jobs. Since its beginnings as an industrial education center in 1962, Pamlico Community College has stayed true to its mission of providing accessible and affordable quality education to its students. Over the years, PCC has expanded its program offerings and program capabilities. PCC has launched an online course program and now helps students transfer into four-year bachelor's degrees through a contract program with East Carolina University. But amidst all this growth, PCC has managed to maintain a personalized approach to education with a nine-to-one student-teacher ratio. In addition to many of the more traditional associate degrees available at most community colleges in North Carolina, PCC offers two-year degrees in scientific fields like electroneurodiagnostic technology (the study of electrical activity in the brain and nervous system) and environmental science with majors available in environmental management technology and environmental science technology. PCC also provides a number of continuing education programs for working professionals, including several options for service professionals in law enforcement, firefighting, and emergency medical services. Many of these classes are offered during nights and weekends to accommodate enrollee work schedules. Standing just outside of the town of Kenansville, NC in Duplin County, James Sprunt Community College is a service-oriented college, and the school is committed to supporting and assisting its surrounding community. As a result, many of the school’s programs—especially its associate degree programs—are tailored to meet community needs. Students are provided with extensive hands-on training in every course. For example, JSCC’s diesel and heavy equipment technology associate degree allows students to work directly with specialized equipment on a daily basis. Some programs, such as the the school’s agribusiness technology associate degree, give students a blend of theoretical knowledge—including marketing and law—and practical experience, including on-site experience with materials. Programs designed in this manner allow graduates to demonstrate a working understanding of both concept and practice in their respective industries. These programs have also gone a long way in making JSCC one of the best community colleges in North Carolina. At JSCC, several educational assistance programs are available for military veterans and their families, including programs that provide financial assistance, transfer credits, and counseling and rehabilitation services. Established in 1965, Cleveland Community College provides its diverse student body with two types of program options: first, college credit courses that can be applied toward degree, diploma, and certificate programs; and, second, continuing education noncredit courses for continued learning. Numerous associate degree options offered by CCC make it one of the best community colleges in North Carolina, with programs ranging from traditional options, like business and accounting, to more technical programs, such as a degree in automation technology or broadcasting and production technology. One of the more popular departments at CCC is the school’s expansive computer information technology department. This department offers degrees, diplomas, and certificates in data management, systems security, web administration and design, and more. For students looking for noncredit courses, CCC offers the Brown Emergency Training Center for emergency professional courses, as well as business training courses and several online courses. In terms of student assistance, the Student Success Center at CCC offers some of the most unique services in the state, such as counseling, mentorship programs, and health and fitness programs, all in addition to more standard tutoring, academic advising, and career services. Located in the western community of Spindale, Isothermal is one of 58 public community colleges in North Carolina. Isothermal offers dozens of academic programs, innovative vocational offerings, job training, and cultural events. The school is dedicated to improving the lives of the citizens of Polk and Rutherford counties, serving 4,300 students each year on its 181-acre main campus and through satellite centers in nearby Rutherfordton and Columbus. Isothermal maintains articulation agreements with several campuses in the University of North Carolina system, making it easy for students to transfer to a four-year school. Every program at Isothermal trains students in effective communication, critical listening, qualitative analysis, and basic technology and problem solving skills. The general studies program is particularly popular. Isothermal boasts one of the lowest expensive tuition rates in the state, and qualifying residents from Polk and Rutherford counties can receive a full-ride through the Power Scholarship. MCC is a public, two-year community college that offers associate degrees in general studies and professional areas. The school also features signature programs in forestry, pottery, taxidermy, law enforcement, industrial technology, and hunting and shooting sports management. MCC is one of only four institutions in the nation to offer NRA-approved courses in gunsmithing. In 2017, MCC opened the North Carolina Public Safety Drone Academy to train first-responders on the use of unmanned aerial vehicles. The college also partners with companies, the North Carolina Department of Commerce, and local schools to host the Apprenticeship Montgomery program, which prepares students to work in the trades and manufacturing. MCC offers both for-credit and non-credit classes on its 150-acre campus. Like other community colleges in North Carolina, MCC makes it easy for students to transfer into four-year universities. The school is home to the Gelynda & Arron Capel Pottery Collection, a renowned collection of ancient and contemporary pottery. Located just outside of Ahoskie, North Carolina, Roanoke-Chowan Community College is an institution dedicated to the occupational training and support of its community. Surrounded by sprawling, 41-acre campus grounds, R-CCC provides several associate degrees tailored for transfer within the 16-member University of North Carolina System. Additionally, the school offers 13 separate associate degree options in applied science, including some of the very best among all two-year colleges in North Carolina. Standout programs include industrial systems technology and human services technology (mental health concentration). Students are asked to satisfy practical experience and fieldwork requirements for every applied science program at R-CCC prior to graduation. In recent years, R-CCC has made available a number of online programs to students. These programs are ideal for students who wish to pursue courses while, for example, working full-time. R-CCC’s campus notably features a seven-acre Arboretum/Environmental Science Outdoor Laboratory. The facility offers students and community members alike impressive sightseeing opportunities. Founded in 1961, CCCC offers 45 degrees, professional certificates, and a wide variety of continuing education programs. The school primarily serves about 5,000 students each year in Chatham, Harnett, and Lee counties. CCCC also offers a variety of distance learning programs. Some of the school's most popular programs include its general studies transfer degree and others on topics like laser-photonics and biofuels. The general studies program provides students with the first two years of a bachelor’s education. The college maintains articulation agreements with many schools in North Carolina’s public university system. The college also boasts an extensive array of short-term training programs, giving students skills in trades like culinary arts, cosmetology, EMS, massage therapy, and healthcare. Applicants must submit academic transcripts and SAT, ACT, or ACCUPLACER scores. Students without standardized test scores can take the ACCUPLACER exam through the college itself. CCCC offers one of the most affordable tuition rates in the state. From its main campus in Graham, Alamance offers associate degrees, continuing education courses, and corporate training programs to about 8,500 students each year. The school’s academics split into three divisions: business, arts, and sciences; health and public services; and industrial technologies. Alamance also boasts an active distance education program. The college maintains articulation agreements that guarantee any student who completes an associate degree will gain admission to one of the 16 four-year schools in North Carolina’s university system. Alamance hosts a summer session that allows visiting students from other universities to earn credits affordably. Both the main campus in Graham and a second learning center in Burlington grew steadily during the 1990s and 2000s, adding new shop facilities, classrooms, culinary kitchens, and administrative buildings. In this time, the school gained a strong reputation. Craven is a comprehensive community college that is located in the historic colonial town of New Bern. The school also maintain campuses in Havelock and MCAS Cherry Point. Craven offers two-year degrees, certificates, workforce training, and vocational programs. Each year, 10,000 students pursue the school's continuing education opportunities. The school is military friendly, with special classes and resources for veterans, active duty service members, and dependents. Some of the school's most popular programs cover the topics like allied health, nursing, or computer science. Craven is also known for its aviation and aeronautical offerings, thanks to its Institute of Aeronautical Technology and proximity to the marine air station at Cherry Point. Craven is home to the Bosch Advanced Manufacturing Center, which prepares students for work at nearby manufacturing plants. The college holds articulation agreements with North Carolina’s public universities and Southern Illinois University. CCHS is one of the only schools in North Carolina that focuses exclusively on medical education, allied health, and nursing. The Charlotte-based college offers two-year degrees in fields like radiation therapy, surgical tech, and medical lab science. The school is a part of the Carolinas Healthcare System and is located on the campus of the Carolinas Medical Center. This proximity to one of the nation’s best hospitals gives students access to state-of-the-art facilities and many training opportunities. CCHS programs strongly emphasize career preparation. Students spend hours working in clinical settings, putting the theories they’ve learned in the classroom into practice. Due to the college’s small size, students get to know their instructors personally. In fact, class sizes can be as small as four students. The college boasts an impressive track record with more than 90% of its graduates passing their licensure or certification exams on the first try, and 93% moving into jobs in their field within six months of leaving the school. CFCC is a comprehensive two-year school that offers a wide variety of degree and certificate programs, professional training, technical skills, and continuing education. The school’s main campus is located on the banks of the Cape Fear River in Wilmington. Founded in 1958, CFCC now serves more than 23,000 people on its four campuses every year. Like many community colleges in North Carolina, CFCC offers free classes in adult literacy, GED preparation, English as a second language, and other basic skills. The school provides affordable classes in diverse fields such as computer training, leadership, and construction. Some of the college’s most popular offerings are its healthcare programs and its two-year transfer degrees. These transfer programs allow students to matriculate into many of the state’s public four-year universities. Graduates from many of the school’s healthcare programs earn nearly 100% pass rates on their respective licensing and certification exams. Several of CFCC’s 60 technical programs have earned national recognition for their quality. RCC is one of the largest community colleges in North Carolina, maintaining a 266-acre campus with more than three miles of walking trails. The college serves a student body of about 2,000 students each year. RCC offers associate degrees, transfer programs, bachelor’s degrees, and several diplomas and certificates. The school also provides technical and vocational instruction in emergency response, nursing, and the trades. The school’s outdoor training program, TRAILS, was the first of its kind in the nation. The college also offers a variety of personal enrichment, continuing education, career readiness, and professional training opportunities to the residents of Rockingham County. The Small Business Center provides seminars and short courses to local businesses. Rockingham is home to the largest community college foundation in the state, offering more than 200 endowed scholarships and 57 institutional scholarships. RCC maintains articulation agreements with many public universities and private colleges. Set in the small city of Clinton, SCC offers degrees and certificates in fields such as business management, marketing, and agriculture. The school’s workforce development programs include truck driver training, allied health degrees, and public safety certification. SCC offers transfer programs, college and career readiness, GED classes, help for non-native English speakers, small business instruction, and defensive driving classes. The school also offers programs in less common fields like ammonia refrigeration and farm maintenance. The school provides a wealth of services to help students meet their educational goals, including an academic success center, online tutoring, counseling, and childcare services. SCC serves around 1,500 students each year, with about half enrolled in degree programs and half enrolled in technical programs. The school maintains an open-door admission policy, so all students with a GED or high school diploma are eligible for admission. Located among the Blue Ridge Mountains’ scenic foothills in Dobson, North Carolina, Surry Community College was founded in 1964. Today it has grown into an institution with over 18,000 students and educational centers throughout NC, including Elkin, Pilot Mountain, Yadkinville, Mount Airy, and Dobson. With focus on emerging technologies, SCC provides programs in 48 different fields, including 32 associate degree options, making it one of the best North Carolina community colleges. While SCC offers many of the standard associate degree programs, many of the school’s offerings involve the latest in technology, preparing graduates for both current and future practices. Some of the school’s more nontraditional degree options include automotive systems technology, viticulture and enology, and criminal justice technology with a concentration in latent evidence. In order to provide career-focused education and opportunities for its students, SCC has developed working and training relationships with various organizations across the state. Programs are designed and developed in partnership with these organizations to respond to industry and workforce demands. Additionally, SCC has created a number of training programs for NC's general workforce aimed at enhancing the community’s skills as a whole. Since 1969, Johnston Community College has been considered one of the best community colleges in North Carolina, providing students with associate degree options and occupational and technical training. Despite its more than 15,000 students and the presence of its campuses throughout the state, JCC employs a small college mentality. JCC focuses on individual student needs and works with its surrounding community as much as possible. Students and community members alike enjoy the school’s lushly forested, 175-acre main campus in Smithfield, NC. In addition to JCC’s transfer-ready associate degrees, the school offers career-focused technical associate degree options in fields such as business, construction, health, public service, and transportation. Some JCC programs, particularly those in health sciences, have prerequisites that must be completed prior to an applicant's acceptance into a program. Some programs, such as computed tomography and medical sonography, are offered in collaboration with other facilities and educational institutions. Set in the hills of western North Carolina, WPCC is known for its large green campus and wide selection of associate degrees. The college’s 7,000 students can choose from three transfer programs and more than 36 degrees in education, industry, healthcare, and business. Students can also access continuing education, vocational training, and professional development opportunities. For older students, WPCC offers adult education classes in English, computers, and crafts. WPCC is one of the only schools in North Carolina to offer a program in sustainable agriculture. It is also the only school in the state with an online paralegal program. Other popular degrees cover topics like recreational therapy and law enforcement. With average class sizes of just 13 students, all students enjoy one-on-one attention from their professors. The vast majority of students are local, with almost 75% from surrounding Burke county. Serving students in Bertie and Martin counties, MCC is one of the smallest community colleges in North Carolina. The student body numbers around 800, with some enrolled at a second campus in Bertie. MCC offers more than 20 degrees and certificates on topics like liberal arts, health science, and construction. The school is also known for its degrees in equine training and business. The school’s continuing education department offers GED courses and life skills training. MCC also offers certification programs for firefighters, law enforcement, and EMS personnel. Students are able to showcase their skills through events such as fashion walks and horse shows. The school also hosts career fairs to help students find employment after graduation. The small business center provides local entrepreneurs with seminars, workshops, counseling, and other resources. MCC’s tuition is comparable to other North Carolina community colleges. For over 50 years, Richmond Community College has provided its students and community members with valuable, career-focused tools and training. Today, with approximately 10,000 students and campuses in both Richmond and Scotland counties, RCC strives to support the communities that have supported it. To help solve the location’s unemployment rates—some of the highest in the country— RCC dedicates time and resources to work with local businesses. RCC offers training opportunities for employees, establishes programs, and produces professionals. As one of the leading community colleges in North Carolina, RCC offers more than 60 degrees, diplomas, and certificates. This includes more than 25 associate degrees, many of which are geared toward fields with local application, such as RCC’s electric utility substation and relay technology program, a product of a partnership with NC's Duke Energy. RCC offers a number of university pathway programs that provide students with two years of transfer-ready credits to put toward a bachelor's degree in areas such as agricultural science and poultry science. RCC also provides entertainment for both residents and students, regularly hosting events and shows at its 1,000-seat Robert L. and Elizabeth S. Cole Auditorium and Community Center. Servicing Vance, Granville, Franklin, and Warren counties in North Carolina, Vance-Granville Community College operates a campus in each of those regions. VGCC offers more than 40 programs in the arts and sciences, business and applied technologies, and health sciences. VGCC provides associate degrees, diplomas, and certificates, as well as noncredit and online courses in a variety of fields, which exemplifies why it has become one of the best community colleges in North Carolina. Though the institution has grown substantially since its founding in 1969 (now hosting around 11,000 students each year) VGCC still offers its students small classes and individual support from instructors. Among the three educational divisions available at VGCC, students can pursue degrees in highly specialized fields, such as bioprocess technology, mechatronics engineering technology, and computed tomography or radiography. VGCC offer flexible scheduling as a component of many of its programs and the flexibility allows students to work while completing their degree. VGCC students are encouraged to support the school’s athletic programs as they pursue National Junior College Athletic Association (NJCAA) titles in men's basketball and women's volleyball. Located beside the ancient Uwharrie Mountains, Randolph Community College has experienced considerable growth since its opening in 1962. While the school has expanded its facilities tenfold, increased its student body exponentially, and changed its name three times, its focus on community workforce development has always remained the same. In line with the very best of North Carolina community colleges, RCC offers a range of associate degrees in five different fields. Many of RCC’s associate degree programs offer full access to pertinent on-site training facilities. The school’s health sciences program, for example, enjoys access to the Archdale Center and its state of the art biology lab. This facility is used primarily by the school’s medical assisting associate degree students. Additionally, RCC’s criminal justice program uses the 60-acre Emergency Services Training Center facility. This building is equipped with a five-story drill tower, a live burn building, firing ranges, emergency vehicle driving courses, and a tactical facility. RCC also hosts several training certificate programs on these grounds for law enforcement, emergency services, and firefighting. Piedmont Community College was founded in 1970 to fill a void in higher education and provide job training in the Person County region of North Carolina. Today, PCC has campuses in Roxboro and Yanceyville and is one of the top two-year colleges in North Carolina. PCC continues to address the needs of its communities by offering associate degrees, diplomas, and certificates, as well as programs designed to transfer into four-year bachelor's degree programs and personal enrichment courses for working professionals. At PCC, students looking for associate degrees can choose from programs within five major fields: applied sciences, arts, fine arts, general education, and science. In addition to offering programs available at most accredited institutions across the nation, PCC also provides unique programs at all levels, including an associate of applied science degree in digital effects and animation, a gunsmithing diploma, and a phlebotomy certificate. In keeping with its career-focused traditions, nearly all programs at PCC have built-in work components such as internships or hands-on clinical experience. Educating more than 70,000 students a year across five campuses and multiple training facilities, Wake Technical Community College is the largest community college in North Carolina. Wake Tech offers more than 200 associate degrees, diplomas, and certificates, including both transfer-ready and career-ready associate degrees. Students looking to enter the workforce with their degrees have options in the fields of applied engineering and technologies, business and public services technologies, computer technologies, and health sciences. Each field of study at Wake Tech provides specialized degree opportunities for students. Examples include biopharmaceutical technology, baking and pastry arts, mobile application development, and health and fitness science. In addition to degree tracks, Wake Tech also provides several certificates and diploma options, many of which are available online. Wake Tech also hosts several National Junior College Athletics Association (NJCAA) sports teams, including the school’s men's basketball team, named regional champions in 2013-2014. Originally founded to assist the region’s workforce during its transition from agriculture to a manufacturing-based economy, Davidson County Community College continues to prepare its graduates for a changing and ever-evolving world more than half a century later. 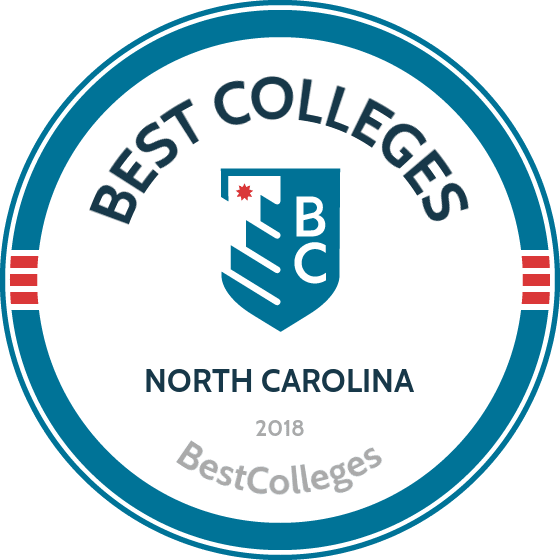 DCCC has two campuses and three satellite education centers, educates more than 16,000 students in over 50 programs, and today ranks among the best of North Carolina community colleges. DCCC’s 97-acre Davidson campus is home to two emergency services training facilities, as well as the school’s new Technology and Conference Center and Transportation Technology Center, and the school’s Davie campus features a state-of-the-art library. For students pursuing the school’s fire protection technology associate degree in applied science, DCCC offers a choice between specializing in fire protection administration or public safety communication, as well as the latest in hands-on equipment and modern facilities. For students interested in athletics, DCCC's women's volleyball and men's basketball teams are part of the National Junior College Athletic Association (NJCAA), and games have become community-wide events. SCC provides two-year degree programs, continuing education, vocational training, and personal enrichment programs. The school emphasizes workforce preparation for local industries. Approximately 10,000 students enroll in the college’s programs and training opportunities each year. SCC’s main campus is located in Albemarle, but the school also operates a satellite center in Locust. The college also runs a small business center. SCC offers several unique programs on topics like agribusiness, aquaponics, QMS road technician, and game development. The school is also home to the Carolina Auction Academy, where auctioneers learn to chant. Students in the Morton-Moffitt Cosmetology Center gain skills in nail application, massage, hair design, small business management, and make-up application. Other notable programs cover subjects like healthcare and law enforcement. The college grants prior learning credits for life experience and workforce training. Serving more than 16,000 students from three campuses in Gaston and Lincoln counties, Gaston College is one of the largest community colleges in North Carolina. GC offers more than 100 programs of study. Each program is designed to help students enter the workforce immediately after graduation. GC is dedicated to providing students with the theoretical knowledge and practical experience necessary for new graduates to find successful careers. Gaston College offers associate degree options in the fields of arts and sciences, business and information technology, engineering and industrial technologies, and public safety. GC’s programs range from broad and widely applicable to very specific, like its civil engineering technology associate degree and the first accredited fire protection technology program in the South. The college's hands-on approach is aided by fully functioning facilities and state of the art equipment, including a full recording studio and radio station used daily by students enrolled in the school’s broadcasting and production technology program. If you're thinking about applying to one of the best colleges in North Carolina, continuing reading to learn more about living in the Old North State. Nestled between the Appalachian Mountains and the Atlantic Ocean, North Carolina has a terrain and locale for everyone. The temperate winters and warm summers make it the perfect state for hikers and surfers alike, and the rich history provides diversions for those less inclined to be outdoorsy in the form of history museums, art galleries and brewery tours. Though the state boasts an estimated population of over 10 million, there are still places, such as the Appalachian trails, where it's possible to find solitude. The cost of living for most towns and cities in North Carolina is lower than the national average, and, according to the Census Bureau, the median household income for 2013 was $46,334. Below, we call your attention to the three sections of this state: the Mountains, the Piedmont and the Coastal Plain. There are fewer areas considered "cities," according to the Census Bureau, in the mountainous areas of NC, but this is where you will find the hiking trails that lead into the Appalachians. The Piedmont, a plateau between the mountains and the ocean, makes up the center section of the state and is home to more of the larger cities, including the state's capital. The Coastal Plain is where visitors and residents will find the beaches and swamps of North Carolina. Future and current college students who are considering attending school in a different state are likely already aware that tuition will be higher for them as out-of-state students. In fact, average in-state tuition and fees at four-year, public schools for the 2014-15 school year were nearly $15,000 less than for out-of-state students in North Carolina. Students who wish to reduce the price of their college education may want to consider becoming state residents. This is not something that occurs overnight. It takes at least 12 months to attain residential status for tuition purposes, the steps to do so, however, are pretty straightforward. This should be done at least one year before you intend to apply for in-state tuition. They always intended to make North Carolina their state of residence and weren't merely there to attend school. There are several factors that are taken into consideration in order to prove intent, including, but not limited to: permanent employment, filing state income taxes, where students live when school is not in session and where they serve jury duty. These requirements are universal across the University of North Carolina and North Carolina State University campuses.